Summer in NYC is the best! Sunshine, lots of fun events and ice cream trucks in every corner. I vended at Brown Paper Zine & Small Press Fair for both days this summer. The event was free and for all ages! 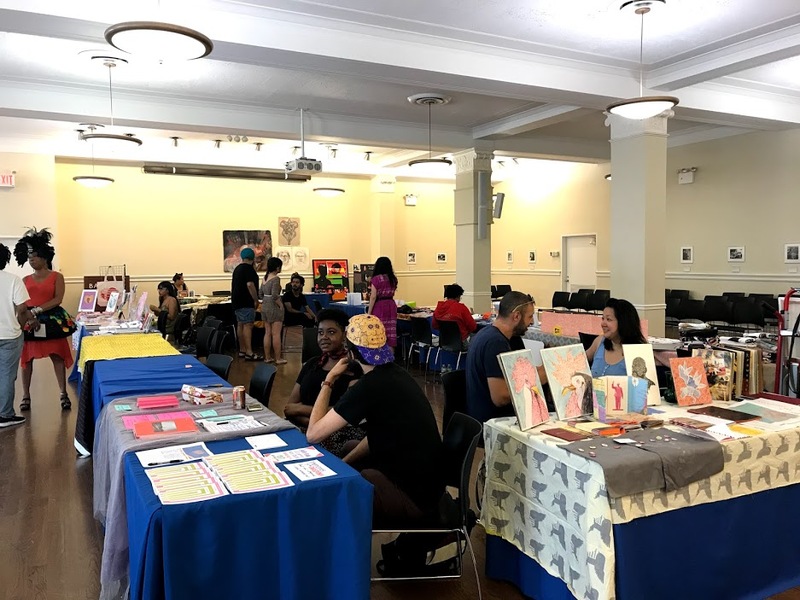 3 Dot Zine presents the second annual Brown Paper Zine and Small Press Fair, an environment where the creative efforts of Black artists and artists of color working in self publishing and printed mediums are exposed and proliferated. 3 Dot Zine is a collaborative, submission-based zine founded by artist Devin N. Morris in 2014 as a way to extend the reach of important dialogues Morris was having with his peers. For the second annual Brown Paper Zine & Small Press Fair we are excited to partner with the Studio Museum in Harlem. This Studio Salon program is presented as part of inHarlem, a dynamic range of initiatives, strategies, and activities built on the foundation of the Museum’s artist’s projects, permanent collection, and collaborative programs in the Harlem neighborhood. 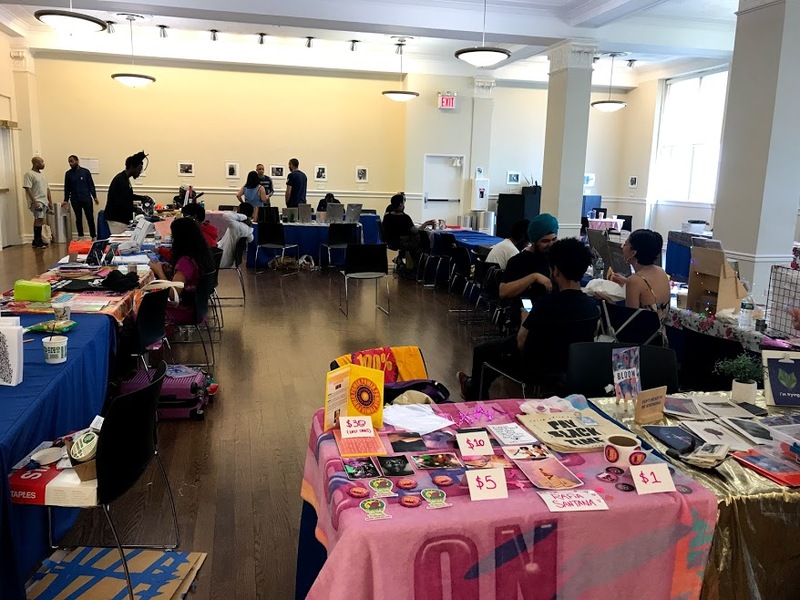 Taking place at Barnard Hall, with the support of the Barnard Library, this year’s fair weaves together zine makers and artists within a broader community that has historically acted as a cultural quilt of sorts--composed of Black American life, artistic development, diversity and overall excellence. Like quilts, zines utilize similar properties in their design, composition, and binding. Multilayered publications, filled with visual and written dialogues, advice, and personal and political insights, act as places where care and direct communication are prioritized. 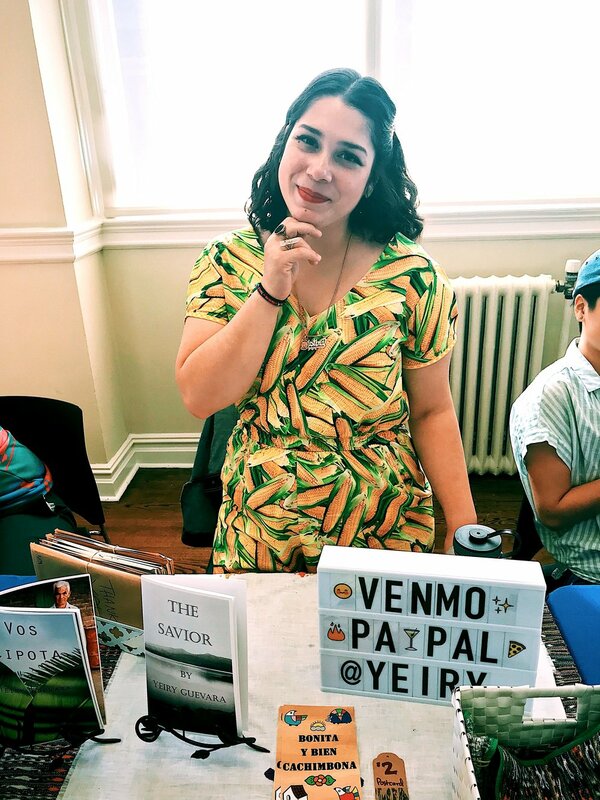 The mission remains to heighten visibility for artists of color and to encourage participation in fair environments and the self publishing industry at large. On Indigenous People's Day, I had the honor to show my work at the inaugural art show organized by BRN GRL SPK. BRN GRL SPK is a wonderful platform built by women of color, for women of color. Their mission: "a creative arts collective that focuses on creating spaces where women and femmes of color can speak their minds and affect change. We aim to empower and support BRN GRLs by building community, organizing events, and fundraising for progress." Where is home? And what does it look like for immigrants, indigenous groups, and people of color? BRN GRL SPK presents This Is My Home (Too), an exhibit by women and femme artists of color. Their work examines our country’s complicated history with colonialism, slavery, and immigration -- asking what and where is home, who has historically had access to one, and how does that shape one’s identity today? The collection is displayed in Caza Mezcal's gallery from October 9 - 28th. Proceeds from the opening night will benefit Families For Freedom, a New York based human rights organization by and for families facing and fighting deportation. Thanks to our sponsors: BAX | Brooklyn Arts Exchange, Tanteo Tequila, Girl Power Supply, FREEda Women NYC, and Meta Balance. Many thanks to all who attended and packed the Gallery at Casa Mezcal with so many funds going to Families for Freedom. A thousand thank you's to the wonderful women of BRN GRL SPK: Ugonna, Ally, Mariah and Ranjani. Immense gratitude to my friends who came to support my first NYC art show! Y'all are the best.